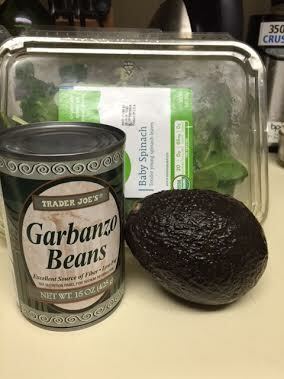 Strain garbanzo beans, pat dry, and add to food processor. 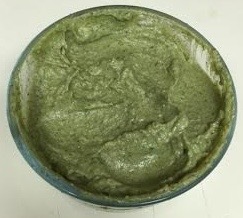 Loosely chop spinach, removing stems, and add to food processor. Chop garlic cloves into small pieces and add to food processor (garlic powder may be substituted). Add black pepper, onions, and squeeze of lemon. Mix to desired consistency. Dip carrots, celery, cucumber, jicama, tomatoes, rice crackers, or veggie or cracker of choice. Enjoy! What is your favorite type of hummus? 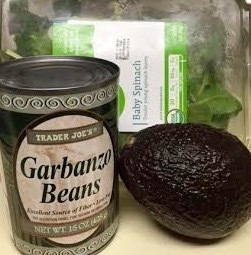 This entry was posted in Healthy Food Recipes, Inspiration and tagged Avocado, Black Pepper, Garbanzo Beans, Garlic, Hummus, Lemon Juice, Onion, Spinach. Bookmark the permalink.